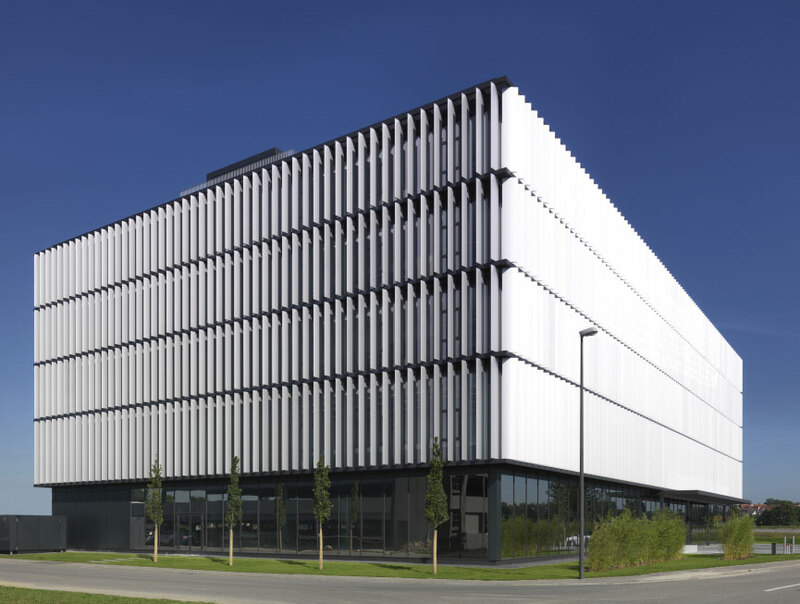 Kandler-Bunje Architects designed the headquarters of BFFT, a German automotive technology developer. The company was recently ranked the number one most popular medium-sized employer in the automotive industry. 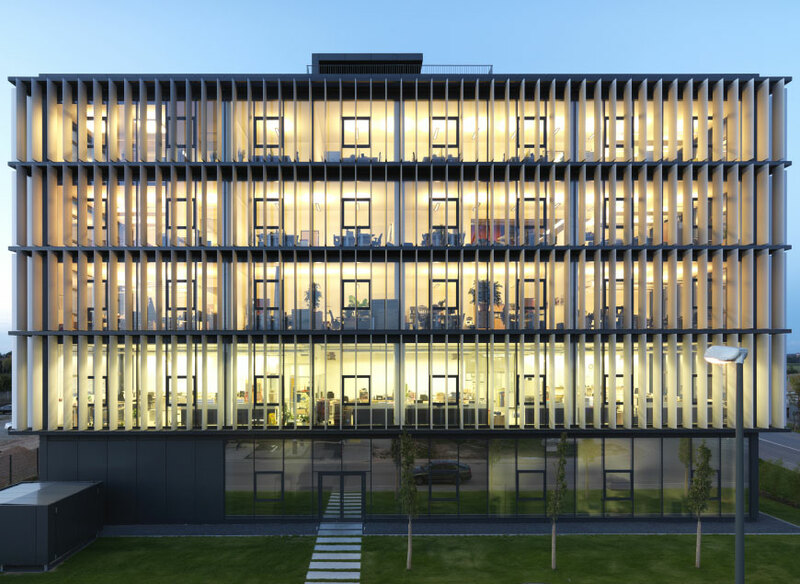 A main component of their headquarters’ design was to not only reflect the company’s commitment to modernity and sustainability, but to provide an optimal work environment for their valuable employees. The glass façade that envelops the majority of the building features over 500 vertical louvers that serve as sun blades made with Alucobond Silver Metallic ACM (aluminum composite material). 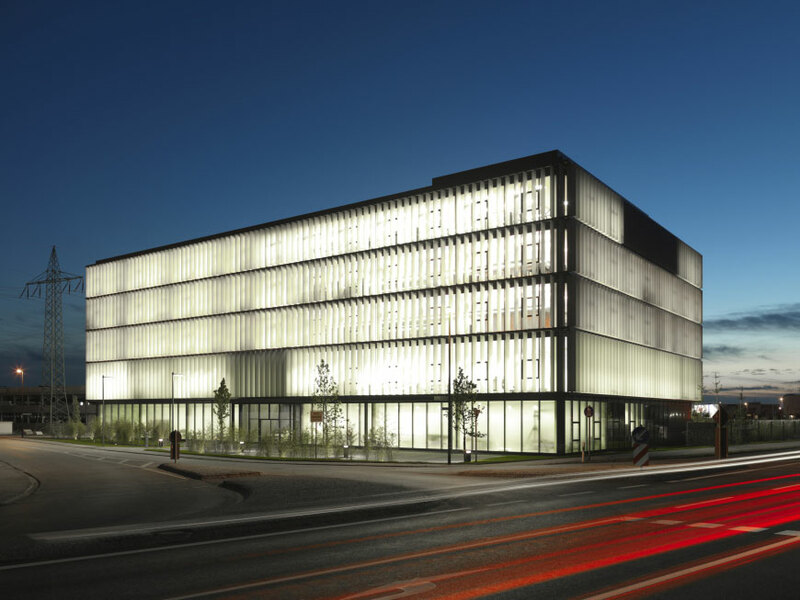 The rotating sunshades automatically turn towards the sun allowing an influx to natural light to penetrate the interior, providing superior daylighting and climate control capabilities. “We believe that contented employees are the key to customer satisfaction,” says BFFT CEO Markus Fichtner, “so we aim to provide a working environment in which they can work together as a team in the best possible way and feel comfortable”. Studies show that daylight can provide numerous benefits to employees that effect mood, productivity and general health. 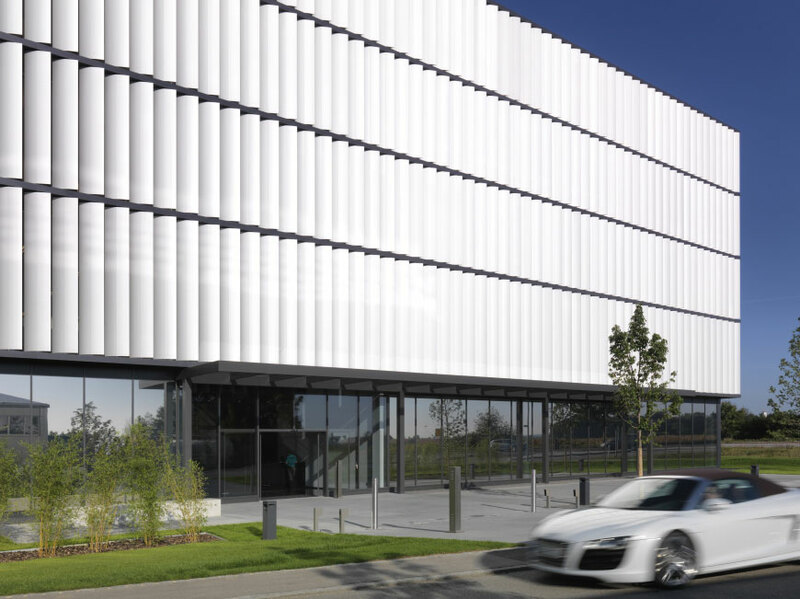 “Team spirit, openness, fairness and fun at work are all crucial elements expressed in the architecture of our headquarters,” says CEO Markus Fichtner of the concept. How are the ends of the louvers capped?